Recently a friend of mine, the writer and mystic Lois Lang-Sims, who could be called the last of the Inklings, died in a nursing home on 11 March aged 97, surrounded by patients suffering from dementia. According to Grevel Lindop, the biographer of Charles Williams, asked about her health in those last months, she would exclaim "Oh, I’m crumbling away! But don’t worry, my dear, I’m looking forward to death. I really can’t wait!" She was a friend and for a time the disciple of Williams, and the co-author of Letters to Lalage, in which she added her own commentary and reminiscences to Williams’s letters to her. 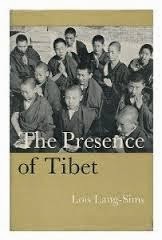 For a time she was also a friend of Marco Pallis and helped to found the Tibet Society. She wrote her own mystical/ metaphysical books after breaking with Williams, including One Thing Only and The Christian Mystery, and a detailed study of Canterbury Cathedral, but many will agree that her most impressive writings were autobiographical -- including several volumes about her childhood. As a long-time friend, I corresponded with her for years right up to her death, as far as she was able. My memories of her correspond to what Grevel Lindop says. She was looking forward to death -- to her meeting with the Lord. Towards the end, through reading booklets from the Catholic Truth Society, including a biography of her beloved Pius XII, catechisms, and other books, and pastoral visits from the chaplain, she could be said to have reconverted to Catholicism. This was what she told me. She had no interest in anything else, or in the republication of her books, although as Grevel writes Flower in a Teacup and A Time to be Born, "form one of the finest British autobiographies of the twentieth century and richly deserve to be reprinted", along with a third volume and other essays not yet published. She was sweet and intelligent to the end, and full of faith. The was no ego left. All who knew her will miss her. Fourth World series devised by Kirby before his death in 1994. Why can’t we all live forever? It seems a terrible flaw in the fabric of the world—that death haunts us from the moment we are born, injecting a note of tragedy into everything. And yet how could it be otherwise, if reproduction is equally a part of the fabric of space-time? 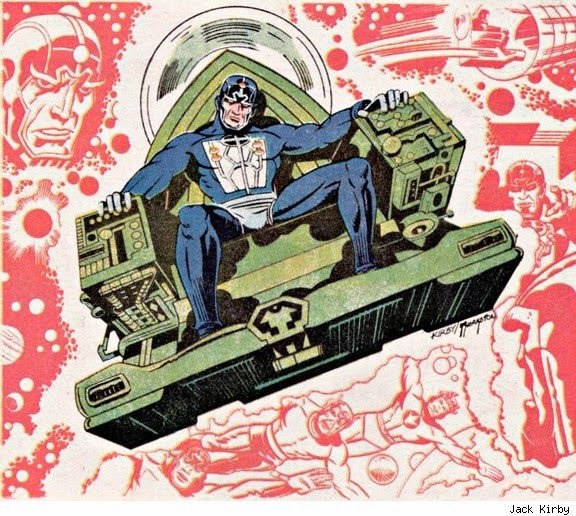 An image of the endless search for the answer to this paradox is drawn by Jack Kirby in his comic book The New Gods. Metron is a character from New Genesis. His chair carries him wherever he wishes, and yet we can take him as a symbol of a search that never finds what it is seeking, in an ultimate sense. Though not the hero of the stories (very much a peripheral character, like Lightray) he offers the image of a powerful archetype. Everybody comes to death eventually, either by disease or by “old age.” There’s a part of me, suffering from prostate cancer, that wants simply to get it over with. In that case the simplest outcome is to stay with the illness I have and see it through. Alternatively, I could recover, somehow, and in this way buy a few more weeks or months or years of life. The author of this remarkable passage (Magnificat, May 2014, pp. 198-9) is the English Dominican writer, Father Bede Jarrett, O.P. He adds that God “comes in a fuller, richer way into the depths of the soul” by grace. It is by virtue of this grace that “here in me are Father, and Son, and Spirit.” And we must conclude that God wishes to give himself to us completely, and in no other way than this. God gives himself to the whole world through us, by giving himself through life and death. God entered deeply into the world—so deeply that we can call it a merging, a uniting of his own nature with the world itself. It is no illusion, but a real uniting. We can participate by joining in the rhythm of life and death. God hides himself deeply within the world, not as an extension of life, such as an experience or two, but as the totality of being. At first it all seems inaccessible and impossible. The Cross seems impossible, incredible. It seems foolish, crazy. But we must join fully, deeply, truly. And we must start as soon as possible. This article will seem far too Christian to many readers, as will many on this site. I wrote it at a very strange time. As I approached the end of my life from prostate cancer, my family organized a remarkable event—a private viewing of the second Captain America movie by Marvel. Members of the cast that I admire are getting in touch and wishing me well. So many of my “last wishes” are being fulfilled at this time. One of them is to have just completed my new book, Not As the World Gives (Angelico Press). Other books I have written are described here. If you read the article above, know that it expresses my beliefs. Know also that it expresses a particular hope—the hope that the goodwill aroused by the actions of my family will touch and open the hearts of many who read it. – SC. "The art of Islam is essentially a contemplative art, which aims to express above all, an encounter with the Divine Presence. The origin of Islamic art has often tried to be explained through tracing it back to some precedent in Byzantine, Sassanid, Coptic or other art, yet what is lost sight of, is the intrinsic and original unity of Islamic art and thus the 'seal' that Islam conferred on all borrowed elements." 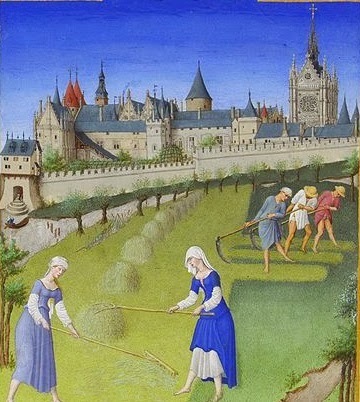 The emphasis is on the geometrical, understandably enough, given the restrictions on naturalistic imagery. The emphasis in Christianity, at least after the defeat of the Iconoclasts in the 8th century, was almost the exact opposite. 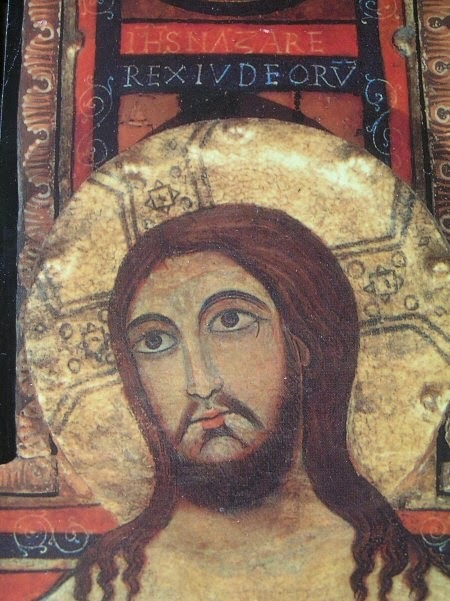 The Incarnation of Christ, and the images of Jesus clasped in the arms of his Mother (an icon that even Muhammad pbuh refrained from destroying when when he purged the Ka'bah), overcame all resistance to the idea of naturalism, even though such images were both natural and symbolic to the highest degree. The two key images that determined the foundations of Christian art were that of Christ on the Cross, and that of the Madonna and Child, the child's face pressed lovingly against that of his Mother. From these (or from the tension between these) exploded the treasures of Christian civilization: the shapes of churches, the glories of stained glass, and gradually the splendors of naturalism, as the golden backgrounds gave way to atmospheric landscapes, and the formalized poses of the icons were transmuted into detailed portraits of people known to the painter and his patrons. 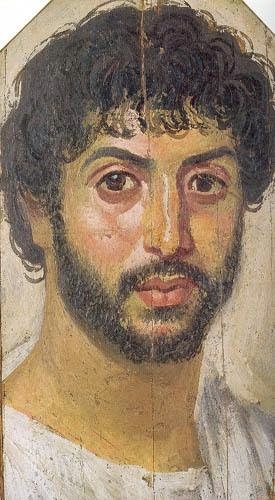 The accurate naturalism of the earlier Fayum portraits was retrieved and rescued for the tradition of Christian painting, even if it led through the Renaissance to the Baroque and (in its decline) to a period of degeneracy and sentimentality from which we are still trying to escape. The next in our series of colloquia in which Christian and Islamic thinkers engage in a conversation about notions of society, the secular, and the human vocation takes place on Saturday afternoon 1st March at St Benet's Hall, Oxford (free admission).